Computer Engineering Professor Roberto Manduchi and Ph.D. student Diego Rodriguez have embarked on a whale-identification project – an example of how Baskin School of Engineering faculty and students are applying engineering to fields such as biology and ocean sciences. Humpback whales can be individually identified by patterns on their tails (flukes) and by the overall shape of the fluke. Being able to identify individual whales helps us understand behavior, personality, conservation issues and population trends. But comparing thousands of individual fluke patterns is very difficult and time-intensive. Computers are faster at sorting data, but humans are still much better at interpreting images and identifying key features such as fluke color and fluke tip location. With your help, the algorithm can be trained to correctly analyze the images. In essence, the algorithm “watches” you as you mark up images on the screen, and it learns from you how to match new whales to whales we've known for years. 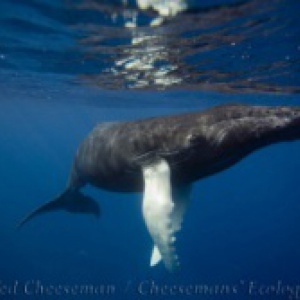 Go to Whales as Individuals to learn more about the project and start identifying whales. Your participation will help provide better data on the current status of whale populations and behaviors. Whales as Individuals is a site maintained by Zooniverse, the world’s largest and most popular platform for people-powered research.